Riverview is a unique property with amazing frontage to the beautiful Margaret River. Riverview prides itself on cleanliness of all cabins and the park in general and we look forward to welcoming you to our slice of paradise! Riverview Tourist Park is located in the townsite of Margaret River, the renowned wine region of Western Australia. The park is a unique garden setting that undulates from the road down to some frontage to the river and on the other side is state forest with walking/riding tracks to town or east towards ten mile brook dam. A large range of cabins are available, most have en-suite, all have heating, cooling, linen and balcony with some overlooking the river. Free gas barbecues are located at the camp kitchen and at the riverfront along with a great gazebo and seating for large groups. Caravan and campervan bays are available (some with en-suite). Bird-life abounds at the park and they will often visit looking for a treat. You will be surprised that in this setting you are just a comfortable walk to the main street with all its attractions. Clean, comfortable accommodation at affordable prices. Come experience Margaret River!!! A simple and cosy Riverside cabin was perfect for our well deserved romantic getaway..
For some of the cheapest accommodation in Margeret River, this place was just lovely. We got the most basic and smallest cabin, yet it still came with personal bathroom facilities, a fridge, TV and queen bed. The entire cabin was spotless, including something often overlooked such as bannister rails. If you plan on using the kitchen facilities there, make sure you have cooking utensils, though we were able to make do with the frying pan and small pot provided. Small luxuries like a potato peeler need to be brought with you, and I'm not complaining about having to do so, just dropping mention of it so those reading aren't caught out like we were, it's never easy peeling a potato or slicing them with a smiss army knife 😂😂😂. A BBQ is also located at the Margeret Riverbank which the property is located on. Thank you for our lovely stay. 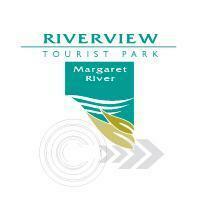 We will definitely recommend Riverview Tourist Park as both an option for budget and more indulgent accommodation. Shower pipes need seeing to. Perfect site for goumet escape snd very central for wineries. Great stay but rather dated accommodation. From the main street in town centre find Willmott Avenue at the Margaret River Hotel and Challenge Bank. Proceed for half a kilometre past the Post Office to 8 Willmott Avenue. Riverview is on your left hand side. Cancellations with less than 30 Days notice may incur the full cost of the stay. Cancellations with more than 30 days notice may incur a 30% cost of stay fee.